Ben completed his Bachelors of Kinesiology Degree in 2013 at the University of British Columbia (UBC) in Vancouver, BC. He also has completed his Functional Movement Assessment Level I (FMS Level I) and has been a member of the British Columbia Association of Kinesiologists (BCAK). Ben also has his First Aid and CPR-C Certificate. Ben has always been attracted to the field of kinesiology because movement of the body plays such an important role in the physical and mental wellbeing of a person. He has seen the effects of such conditions as chronic fatigue syndrome and fibromyalgia in people close to him over the last several years; this is another reason why Ben is driven to aid people with muscular pain and aches. Ben has experience working with injured people and return to work programs during his time as an athletic therapist in B.C. Kinesiology or active rehabilitation can be used to decrease overall pain and discomfort through light physical conditioning including strength and stretching exercises. 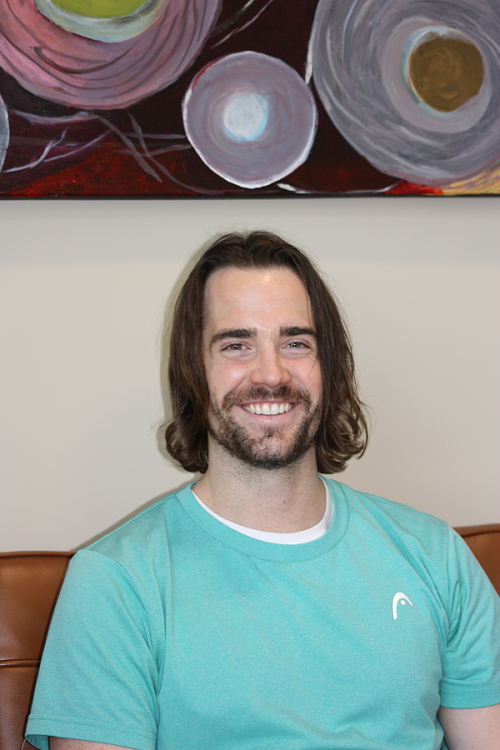 Ben enjoys his occupation and is always taking new courses and certifications to help further his knowledge in kinesiology.